Originally from Indiana, Julie attended Indiana University where she earned a B.A. in Economics and Spanish, a Masters of Public Affairs, and a J.D. from the I.U. School of Law. 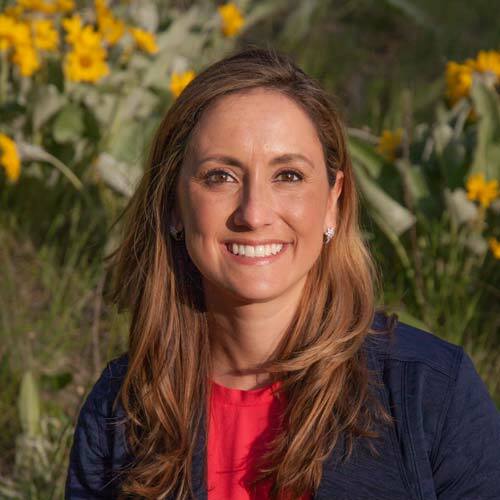 Julie's work as a real estate attorney and, more recently an agent at Lambros Real Estate, affords her countless opportunities to work with others who care deeply about our precious open spaces. 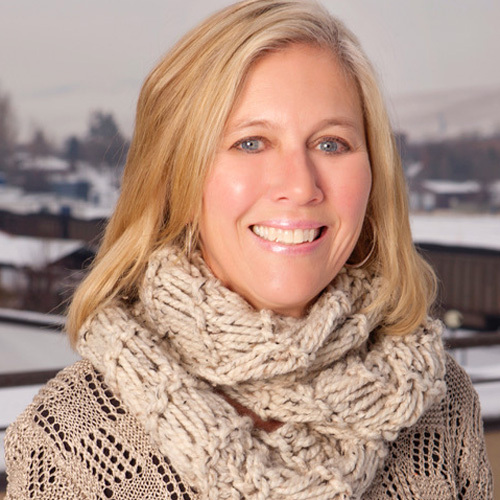 Julie is an avid and devoted volunteer within the Missoula community. 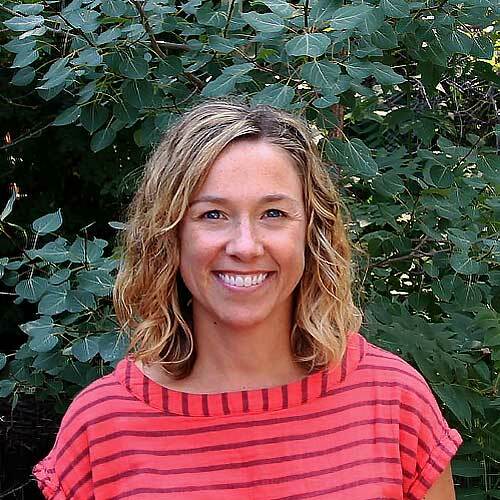 In addition to serving on the board of Five Valleys Land Trust, Julie is a volunteer for the Missoula International School, where she served on the Board for five years. Julie and her husband Phil are outdoors enthusiasts, and love spending time with their three daughters biking, hiking, rafting and skiing in this magnificent Five Valleys region. Kathy grew up in Tucson, Arizona. She earned her degree in Forest Management at Northern Arizona University in Flagstaff, Arizona. She spent 33 years working for the US Forest Service in a variety of locations across the country, serving in many capacities. 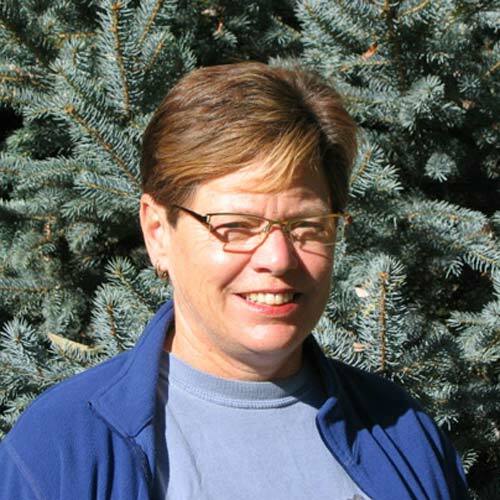 Kathy moved to Missoula in 1996 where she served as the Deputy Regional Forester for the Northern Region, until her retirement in 2008. Kathy is learning how to be retired with the able assistance of her husband Martin, an archaeologist, and their dogs Pearl and Cheyenne. Pam is on her second “tour of duty” as a Five Valleys board member, having previously served from 1996 to 2001. A graduate of Stanford University, Pam first visited Montana during one of her college summers and fell in love with western Montana’s mountains, lakes, and rivers. She moved to Missoula about thirty years ago. Pam worked for many years as a registered nurse and a full-time mom of two. 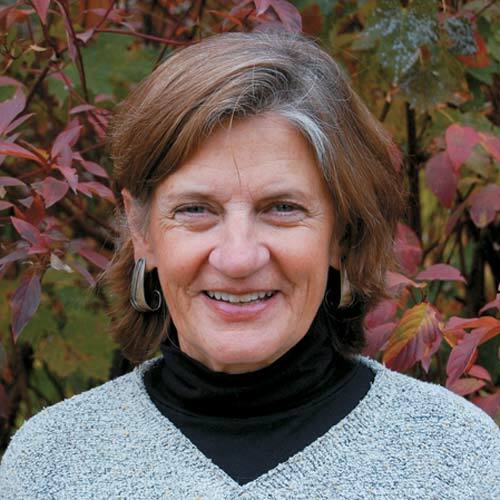 She and her husband, Sandy, have been long-time supporters of Five Valleys Land Trust and are active with numerous non-profit organizations throughout the community. Mary is originally from Denver. She holds a B.A. and an M.B.A. Mary spent most of her professional career associated with Arthur Andersen & Co., where she held a number of positions including Worldwide Director of Communications. She now devotes a majority of her time to nonprofit causes, including serving on the boards of the Lincoln Park Zoo in Chicago, the Board of Regents at the University of the South, and the Alliance Francaise de Chicago. She is past president of the Boards of the Association of Junior Leagues, International, the Hadley School for the Blind, and The Jane Addams Hull House Association. Mary and her husband, Nick, are avid outdoors people and have a passion for land conservation and protection of wildlife habitat. Originally from Texas, David spent two years in Ghana as a Peace Corps volunteer planting trees to slow the spread of the Sahara. He then attended Indiana University where he earned a Master's degree in Public Administration and Natural Resource Management. 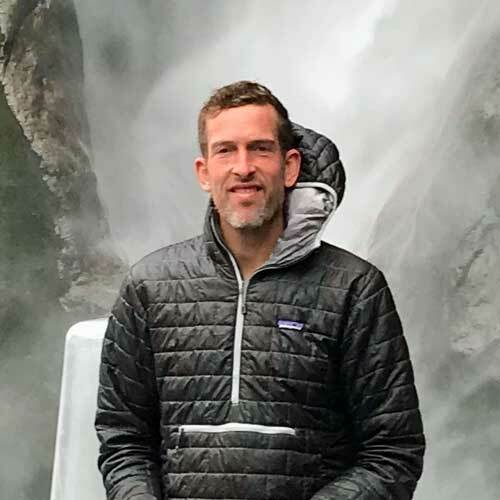 David started work as an Intern with The Nature Conservancy in Indiana and has served in various jobs at TNC including Director of Stewardship, Conservation Planner, and Alaska State Director. He launched TNC's Africa program in 2007 and serves as the Regional Director for Africa today. David has also had a long interest in Land Trusts serving on the board of the Sycamore Land Trust in Indiana and the Great Land Trust in Alaska. After living in Tanzania and searching all over the USA, David and his wife, Joey, chose Missoula as the best place in the world to live, work and play. He wants to keep it that way. Jim spent his early years growing up in Kansas, New Mexico, Utah and Minnesota. He pursued a career in Forestry obtaining degrees from the University of Minnesota, Yale University and University of Michigan. In 1965, he came to Missoula where he worked as a Forest Scientist and Project Leader at the U.S. Forest Service, Fire Sciences Laboratory. 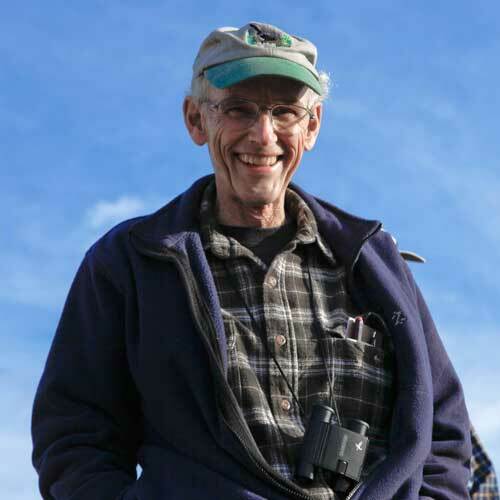 Since retiring it 1996, he consulted wildland fire problems and works with Montana Audubon and the Five Valleys Audubon Societies, where he is past president of the boards, to pursue conservation of important bird habitats. Ken grew up in Denver, Colorado. He and his wife, Stephanie, now live in Philipsburg, Montana, where they bought their house in 1997. In between and related to Ken’s career in real estate and finance, they lived throughout the Western US and East Asia. These combined experiences fueled a deep interest in conservation and land use planning. In the early 2000s, friends introduced him to the Five Valleys Land Trust through the annual banquet. 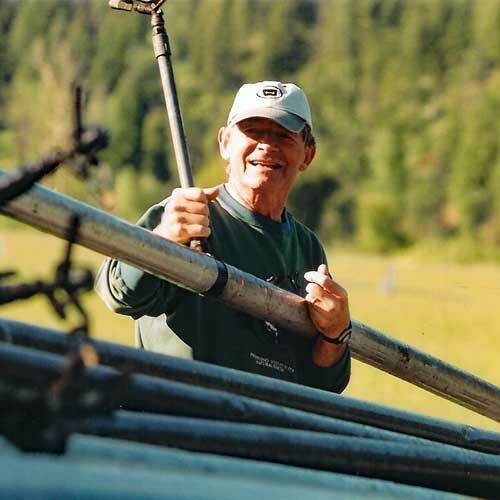 Ken quickly grew to admire and support the Five Valleys Land Trust’s respectful and patient approach to conservation in Western Montana. 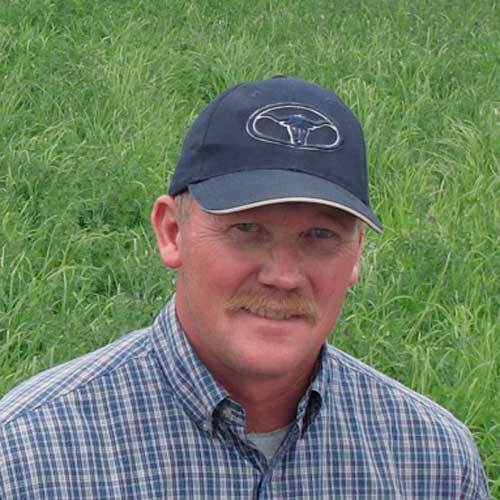 As he believes in community involvement, Ken is also the Board Chair of the Granite County Hospital District. As a 4th generation Montanan, Mary Lynn grew up in the mountains, lakes and rivers of western Montana. Guided by her parents and maternal grandmother her early years were shaped by the great outdoors. She and her husband Charlie are the parents of two grown children. A retired dental hygienist she is presently a partner in the PEAK Health and Wellness. Mary Lynn and Charlie placed a conservation easement on their Pattee Canyon property in 2001. She is excited to work with Five Valleys to continue the legacy of conservation that has shaped her life. 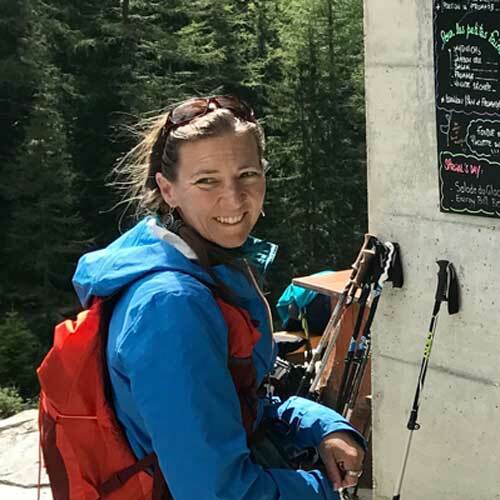 Julie began her relationship with the landscapes of western Montana while completing an internship on Flathead Lake as she worked towards a BS in Resource Ecology and Management from the University of Michigan, 24 years ago. This inspired her to graduate early in order to move to Montana full-time. Her next years were spent in the field, working intimately with the plants, wildlife and landscapes of the region. 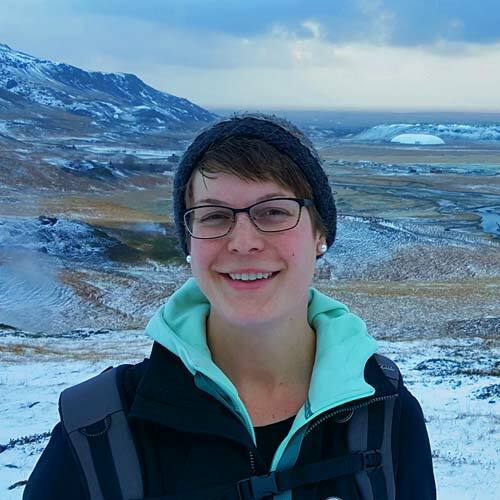 While completing her MS at the University of Idaho, she focused her studies and research on the impact landscape changes and habitat fragmentation has on wildlife and plant populations. Sixteen years ago, upon graduation, Julie began volunteering with Five Valleys, recognizing the influence that Five Valleys’ work would have on shaping the region as growth and development pressure expanded. 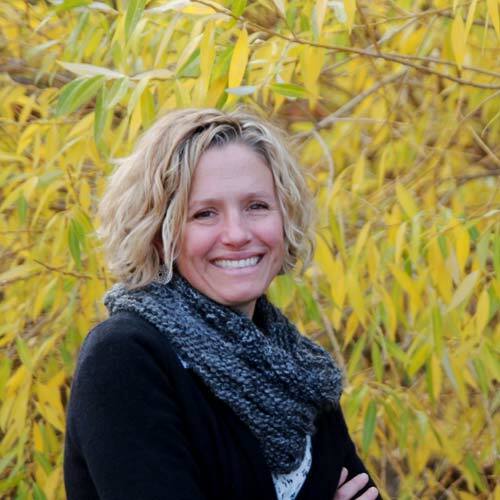 For the past 10 years Julie has worked in Missoula as an RN while raising her three children, but stays grounded through her connections to, and almost daily use of, the open spaces and wild places throughout the five valleys. As her kids grow older, she is ready to begin putting energy directly back into the exciting work of Five Valleys in an effort to give back to the surrounding natural world that sustains her. A midwestern transplant, Mike moved to Missoula from Ohio in 2004 to complete a bachelor's degree in Environmental Studies at the University of Montana. 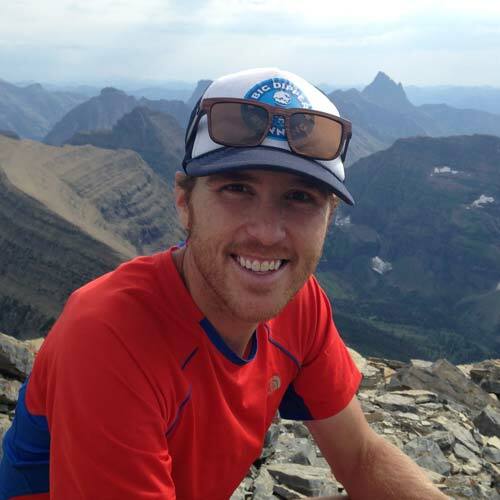 In the following years he developed a strong relationship with the landscape of western Montana through his work as an outdoor educator, running event organizer, and most recently, as a professional mountain runner. 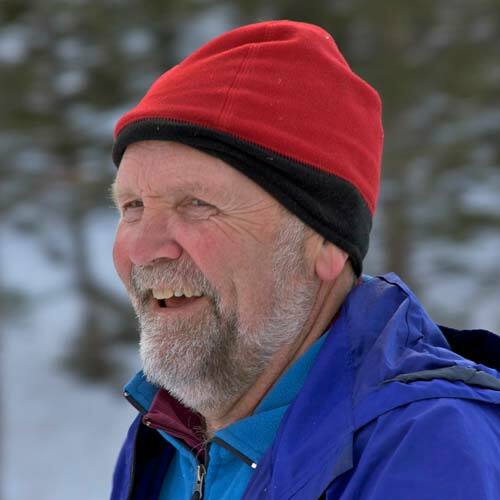 Mike has found joy, challenge, empowerment, beauty, solitude and community among the open spaces he has spent so much time in over the last decade. He hopes to do his part to preserve this landscape so others may develop their own personal relationship with these special places. Denny Iverson grew up on a farm in Minnesota, moving to Potomac with his parents in 1975. The Iversons bought a ranch there that Denny, his wife Charlotte, his brother Les and sister-in-law Sue continue to operate today. The next generation is starting to take root there in the form of Les’ son Justin and his wife Jennifer. Denny’s own kids hope to come back one day and take over his duties on the ranch. Denny is a past board member and is also a board member of the Blackfoot Challenge. The Iversons placed an easement on their ranch some years ago and most recently, Denny and Char placed an easement on some of their own farmland that the ranch operates along with the home ranch. Denny spent 30 years working as a logger to support his ranching habit before selling the business three years ago to ranch full time. John is the publisher at Mountain Press Publishing, an independent press that has achieved national recognition for its books for both young and old on natural history and history, located in Missoula. He served as president of the Rocky Mountain Book Publishers Association and as a board member of the Publisher's Association of the West. A native Montanan, John is active locally, serving as a trustee of the Historical Museum at Fort Missoula, on the Missoula County Weed Board and formerly on the Missoula County Open Lands Committee. John was a member of the original Open Lands Working Group that presented the county commissioners with a report in June 2006 which resulted in the Open Space Bond being placed on the ballot later that year. In 2007, the Rimel family placed their ranch under a conservation easement with Five Valleys Land Trust. In his spare time, he lives to sail on Flathead Lake, horseback ride, run rivers, take off in his sea kayak or motorcycle, or ski when there’s snow. With John’s daughter and son both out of the house, he and his wife Karen are left to do the chores themselves on the family ranch in the foothills of the Sapphire Mountains, south of Missoula. Kristin grew up in Georgia, where she eventually attended the University of Georgia. She earned bachelors' degrees in Anthropology and International Affairs, followed by a law degree from the UGA School of Law. 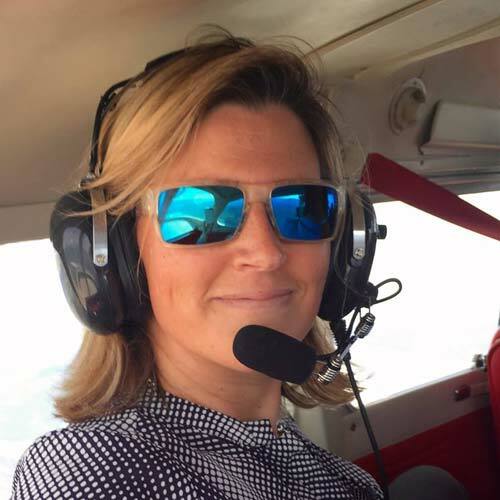 Before moving to Montana, Kristin worked for a large study abroad operation where she led groups of undergraduate students to the South Pacific teaching courses focused on human-environment relations. She is now exploring Montana with her husband, Brock, and daughter, Frankie, and loves horseback riding and hiking. Rick co-founded both Rocky Mountain Development Group and Wishrock Housing Partners and as President and member of Wishrock’s Executive Committee, Rick is responsible for business development and formulation of the company’s investment and development strategies. In his twelve years in the real estate development business Rick has completed numerous projects in a variety of areas of the industry from land development projects to commercial real estate and, since 2008, focused on the acquisition and redevelopment of affordable housing cross the country. Prior to working in the field of real estate development, Rick taught entrepreneurship and strategic management at the University of Montana School of Business. He currently serves on the boards of several Missoula nonprofit organizations, including the Mayor’s Council on Affordable Housing, where he most recently led a successful funding campaign to build a new homeless shelter for the city. 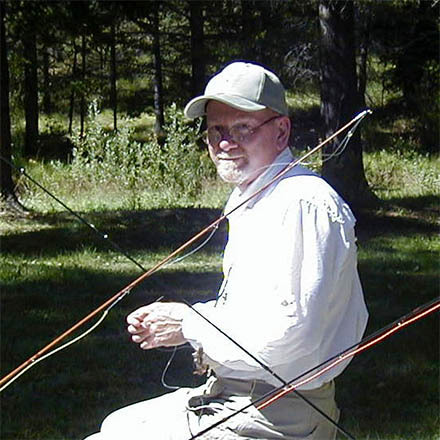 Rick holds a Master’s in Business from The University of Montana, a Master’s in Fine Arts from New England College, and a bachelor’s degree in human ecology from the College of the Atlantic. Rick has received a certificate in Advanced Development Management from Harvard University Graduate School of Design. Amber was born and raised in Indianapolis, Indiana. She fell in love with the Rocky Mountain West and moved to Missoula with her husband in 2000. Amber has been a lifelong advocate of land conservation, starting in college and continuing by getting involved with Five Valleys Land Trust shortly after she moved to Missoula. She holds a degree from Ball State University and has worked in marketing and risk management while continuing to volunteer for land conservation. She enjoys hiking, running, backpacking, mountain biking and spending time outside with her husband, Colin, and two teenage daughters. Vickie has worked in the natural resources field within the Five Valleys’ service area for 15 years for local, state and federal agencies, as well as non-governmental organizations. Her work has focused on conserving fish and wildlife resources, identifying priority habitats for conservation, managing and researching wildlife populations, and developing and cultivating partnerships to accomplish challenging projects and goals. As a wildlife biologist for Montana Fish, Wildlife and Parks managing big game and other wildlife over a 2 million acre management area, she worked with an interdisciplinary team to successfully purchase the 41,000-acre Fish Creek Wildlife Management Area and State Park. In addition, she strategically planned and implemented a response strategy for the Bonner bighorn sheep pneumonia outbreak and the white-tailed deer epizootic hemorrhagic disease outbreak in the Missoula area. Vickie also effectively managed the logistics and landowner relations over a 1 million acre study area in the Blackfoot drainage as part of the Northern Continental Divide Grizzly Bear DNA Project. 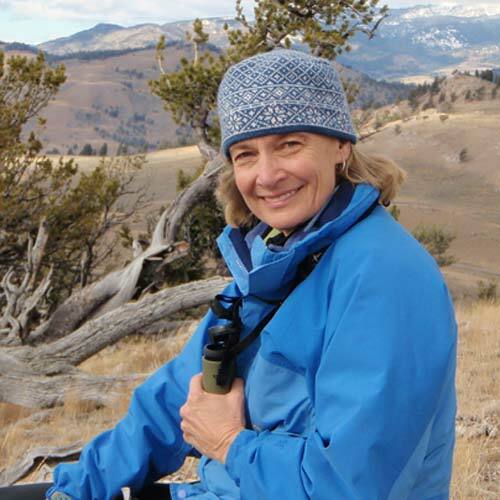 Vickie’s professional and scholastic efforts have garnered her the Doris Duke Conservation Fellowship, the Montana Governor’s Award for Excellence in Performance, the Montana Fish, Wildlife and Parks Director’s Special Achievement Award and the Director’s Certificate of Excellence. Patience grew up on a working dairy farm in Vermont, a portion of which remains in her family and is currently sustainably managed forestland under conservation easement. She holds a B.S. in Animal Science from the University of Vermont. After discontinuing farming she moved to Washington where she raised her children. 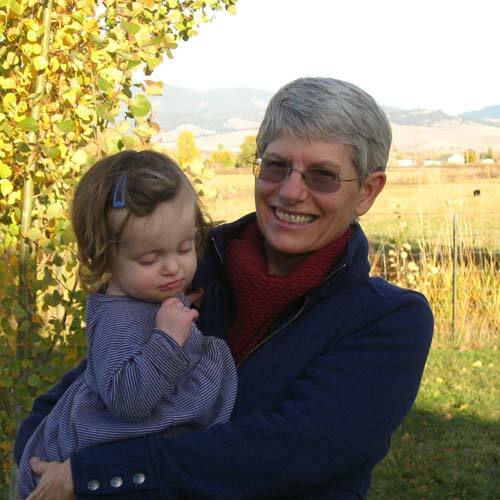 She recently moved to Missoula to be close to family and spend time with her granddaughter. Patience enjoys hiking, biking, and cross-country skiing through the forested mountains. Pelah directs Five Valleys' land conservation program, leading a team that works with landowners and partners to conserve the places people love in western Montana. She grew up in the Jocko Valley, north of Missoula, where she learned about caring for the land and people from the Salish and Kootenai Tribes. Today, she is honored to collaborate with the Tribes as chair of the Flathead Reservation Fish and Wildlife Board. 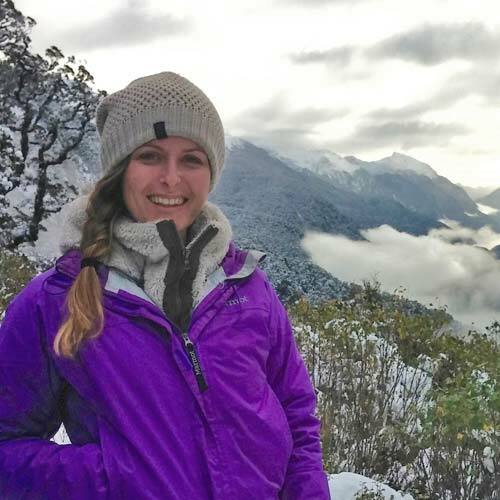 Pelah has a Master’s in Resource Conservation from the University of Montana and worked with communities in Ecuador on economic development and cloud forest conservation as a Peace Corps volunteer. Always on the lookout for dragons, zombies, and cool forts in the woods, Pelah, her husband, Mark, and their twin boys get out exploring the natural world every chance they get. Alice was born in Missoula and grew up in Portland, Oregon. Alice returned to Missoula to get her English degree at the University of Montana. After graduating from UM, Alice received a Fulbright Scholarship to teach English for a year in Madrid. Alice earned her J.D. from the University of Washington School of Law in Seattle in 2013. While in law school, Alice focused on environmental and public interest law. Alice came to Five Valleys on a post-graduate fellowship in September 2013 and was delighted to join Five Valleys’ staff in January 2014. 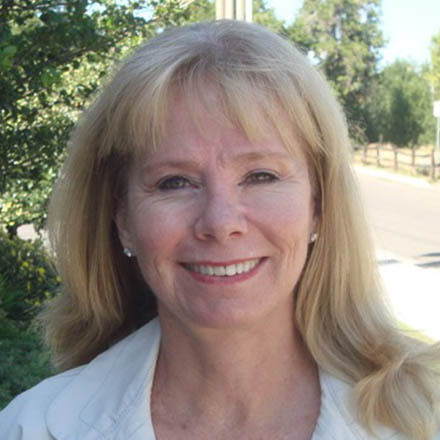 As Lands Attorney, Alice primarily works on writing and interpreting conservation easements. When she's not working on land conservation, Alice spends as much time as possible outside enjoying Montana's incredible open spaces. Ramey oversees the year round fundraising efforts of Five Valleys and brings a passion for development to the organization's team. She grew up in the Bitterroot Valley where the importance of having access to open space was something her parents instilled in her at a young age. Ramey has BA in Journalism from the University of Montana, Missoula. She, her husband Jesse, and sons Evan and Olin love getting outside to enjoy all the fun activities western Montana's open spaces offer year-round. Alina has a deep passion for both local and global conservation efforts, but it is her love of Montana’s landscapes and people that drives her commitment for Five Valleys Land Trust. 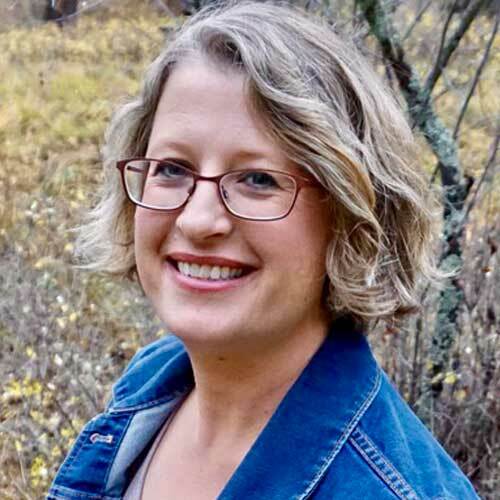 She served as Five Valleys’ Stewardship Director between 2008-2010, working with landowners to help them steward and manage their conservation easements. She also served on our Board of Directors in 2012. 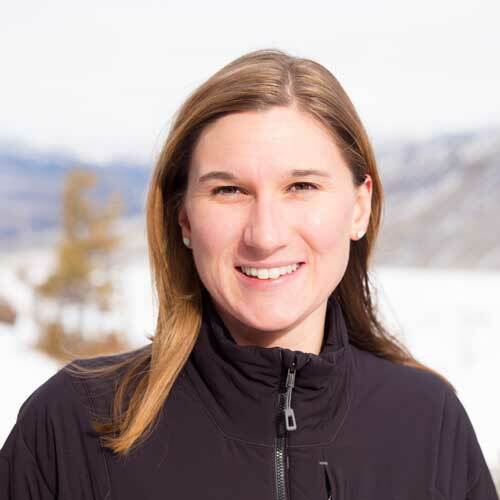 Alina rejoined our team in 2016 as Operations Director, and she is thrilled to once again be helping to protect western Montana's landscapes and way of life. A native of Argentina, Alina holds a BS in Biology, and a MS in Wildlife Biology, from the University of Montana. While her education has grounded her in the science of conservation, her people skills and desire to ensure the success of future conservation efforts has led her to become an organizational leader and fundraiser. Her most recent work experience was at the University of Washington where she was an Associate Director of Philanthropy for the College of the Environment. In her free time, Alina enjoys the outdoors with her husband, Tim, sons Cooper and Wyatt, and her dog Zafra. Sarah Richey is a conservation project manager at Five Valleys. Sarah is originally from Salt Lake City, Utah and holds a B.S. in Biology and an M.S. in Environmental Studies, both from University of Montana, Missoula. Her work experience includes positions in field biology, environmental education, and natural resource management in western Montana. 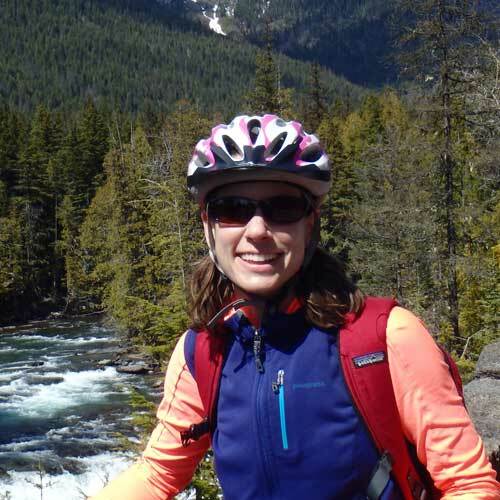 Sarah serves on the board of directors for the Wild Rockies Field Institute. She and her husband Dave love raising their two boys in the mountains, rivers, and wide open spaces of western Montana. Whitney brings a passion for fundraising and development as director of Five Valleys philanthropy program. Whitney earned a MS in Environmental Studies from the University of Montana and a BS in Natural Resources Recreation Management from the University of North Carolina at Wilmington. She holds the mission of Five Valleys close to her heart having grown up on 6 acres of land that backed up to protected open space. She is now pleased to have recreated that connection from her childhood by living at the base of Mt Jumbo and having daily access to some of Missoula’s best open space. Whitney spends her time running, biking, skiing, and playing with her son, Lander, and husband, Nate, in Montana’s open spaces near and far. 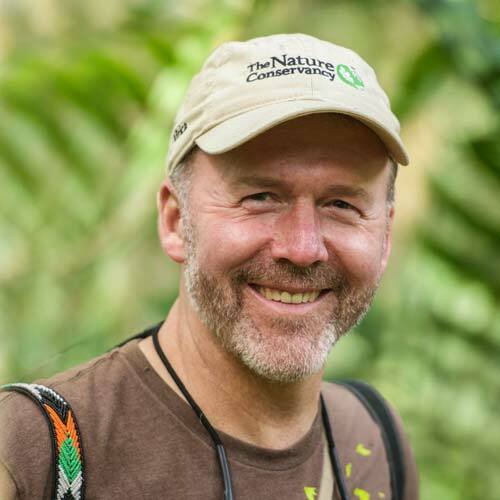 Greg has worked as a conservation professional for nearly three decades, including stints as Executive Director, Conservation Director, and Director of Special Projects at Five Valleys. 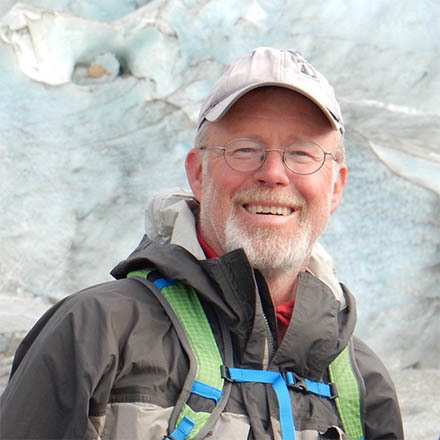 He has also worked as an environmental consultant, a fishing guide, a newspaper reporter, a high school English teacher, and as a freelance writer whose weekly column appeared in the Missoulian newspaper for 27 years. He re-joined the Five Valleys team in March 2019 as our Regional Director. Jenny joined the Five Valleys staff in 2011. She monitors conservation easements, works with landowners on restoration and management projects, and coordinates educational programs and partnerships. Jenny grew up in western Washington and fell in love with Montana while spending summers with extended family on Swan Lake. 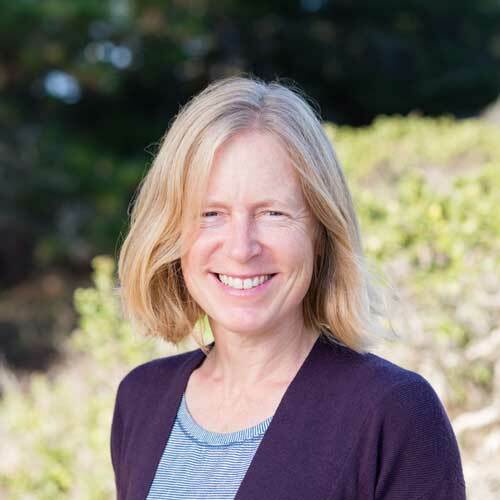 Jenny holds a MS in Botany from the University of Vermont and has over 20 years experience in ecology, conservation, and environmental education. She enjoys gardening, camping, skiing, and reading books with her husband Winsor and two children, Will and Iris. Lena joined Five Valleys’ team in 2015. She helps manage Five Valleys’ events, publications and communications. A fifth generation Montanan, she grew up on a farm on the Yellowstone River, north of Miles City. Her upbringing instilled in her a deep love for Montana’s open spaces and rural traditions. 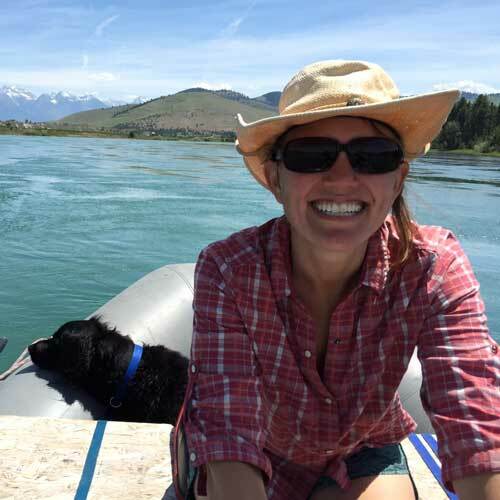 Lena holds a BA in English-Creative Writing from the University of Montana, and feels incredibly lucky to be tasked with telling Five Valleys' story. In her free time, she can often be found outside enjoying Montana's landscape with her husband, Erik, and son, Leif. You don’t have to work here to be a part of something great. Sign up for our email newsletters, become a volunteer, or make a donation.